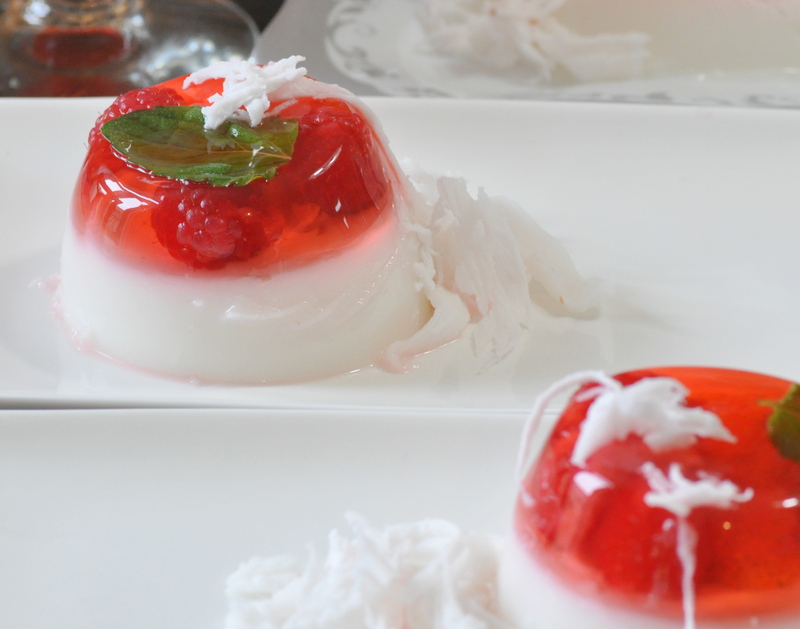 Panna cotta special – Grenadine & champagne with strawberry & raspberries + a mint leaf. 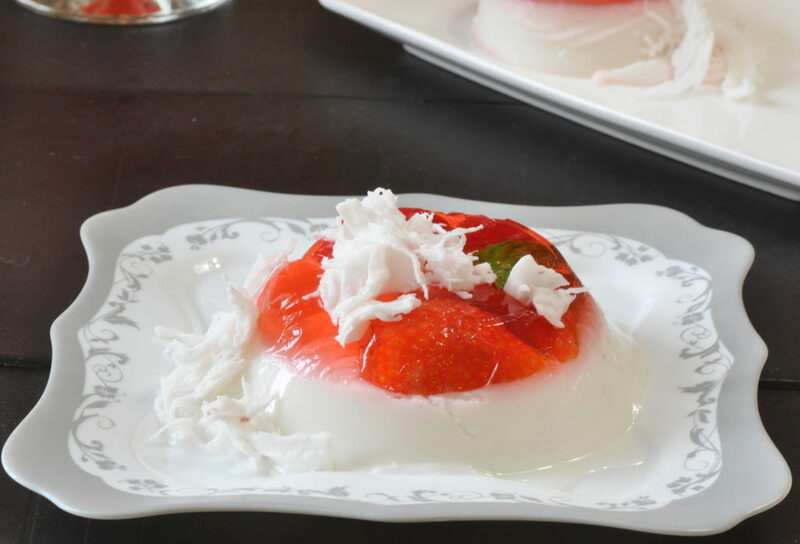 The bottom layer is coconut milk + condensed milk. 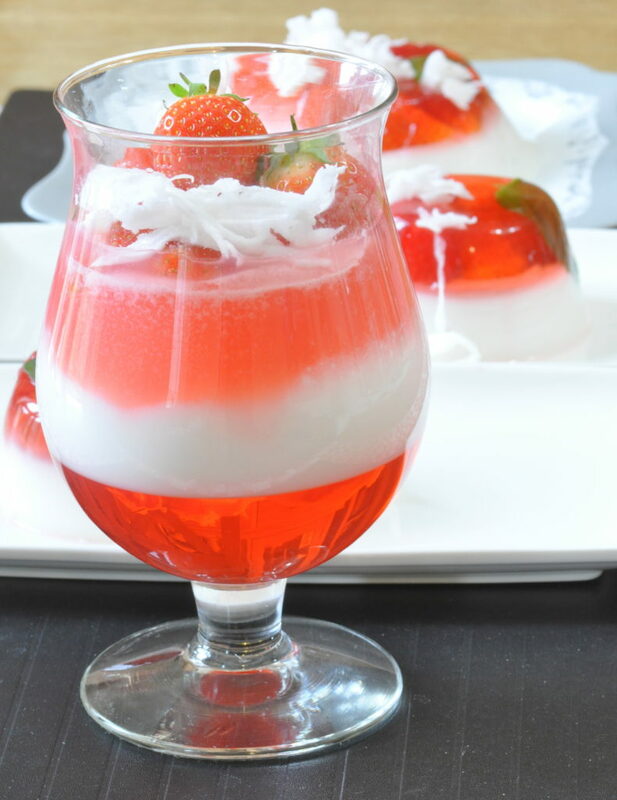 The top layer is grenadine & champagne with strawberries and raspberries and served with freshly shredded coconut. Grenadine & champagne with strawberry & raspberries + a mint leaf. Bottom is coconut milk + condensed milk with freshly shredded coconut. For the top layer I am making 1 pint of gelatin so 4 sheets of gelatin isrequired. Place the Grenadine & Champagne in a pot and warm up. Add in the soften gelatin sheets when ready. Stir till all gelatin completely dissolve. 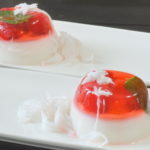 Arrange your mint leaf and fruits into your mould and pour some champagne gelatin jelly in to set. For the bottom layer I am making 2 pints of gelatin so 8 sheets of gelatin is required. Place the coconut milk and condense milk in and pot and warm up. Add in the soften gelatin sheets when ready. Stir till all gelatin completely dissolve. Once you get your ratio correct to the ‘wobbling’ you like just make a note. All gelatin leaves need to be softened before using. Best to make a day before serving. Let them sit in the fridge to set properly. 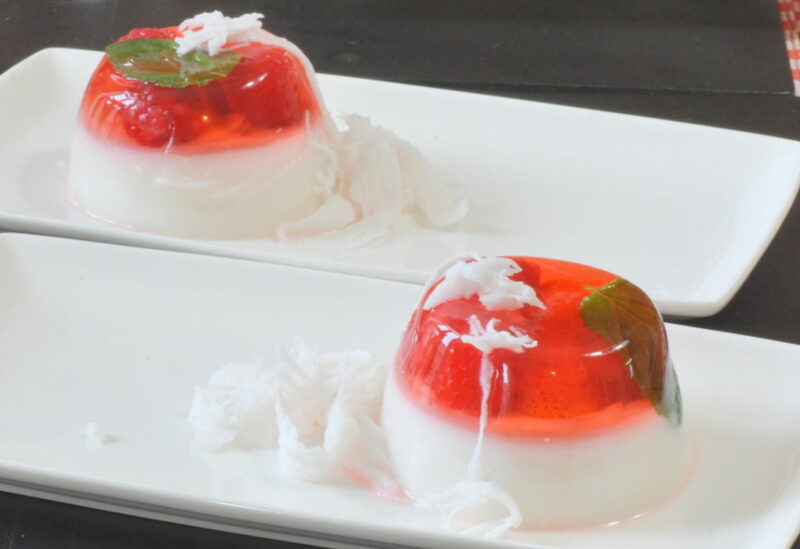 Panna cotta should be soft and wobbly barely holding it’s shape.